The new broadcast network will draw on programming from both WB and UPN, and will be a joint venture between Warner Bros. and CBS (Research), with each company owning 50 percent, officials of both companies said. In addition, World Wrestling Entertainment's "Smackdown," which has been a mainstay at UPN, is expected to play a role in the schedule. 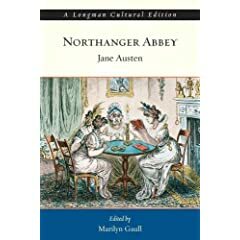 On perhaps a handful or so occasions within Jane Austen�s Northanger Abbey, Henry Tilney proffers his chauvinistic views towards females, most often doing so in the company of and directing them towards Catherine. Henry, however, is quite the wordsmith, and prior to actually rendering those views, usually prefaces them with a high compliment, perhaps intended to catch Catherine off guard or merely indicative of his highly sarcastic tone. Catherine blithely responds to such sentiments, lost in her na�vet�, likely because she has no capacity to detect sarcasm. We find a particularly cogent example in Catherine and Henry Tilney�s introductory conversation in the Lower Rooms of Bath. Henry, of course, hadn�t meant to extol woman�s writing; he had instead meant to put down women for what he sees as their incessant journaling about what he considers banal activites, but framed it sarcastically enough that our naive Catherine blithely responds, wondering aloud, whether �ladies do write so much better letters than gentlemen!� His response�again replete with sarcasm�proceeds to first �praise�: �it appears to me that the usual style of letter-writing among women is faultless, except in three particulars.� Sounds good, doesn�t it? When prompted by Catherine however, Henry divulges his true opinion: these three particulars being: �A general deficiency of subject, a total inattention to stops, and a very frequent ignorance of grammar� (21). Of course, one cannot write well without these �three particulars,� as they are so critically components of good writing, and so, in not so many words, Henry has lambasted women�s writing on the whole. Catherine�s indignant response�calling him out on his devaluation of women�s writing�now moves him to �damage control.� Rather than outright apologizing or reversing his statement, he quickly repositions himself, and in a contradictory manner now professes that �In every power, of which taste is the foundation, excellence is pretty fairly divided between the sexes� (22). While the reader should and probably will see through Henry�s quick-stepping verbal repositioning, Catherine doesn�t seem so capable. If not aware of a direct, disparaging remark, she is left pondering and responding to Henry�s sarcastic statements at full face value. Austen, Jane. Northanger Abbey. Ed. Marilyn Gaull. New York: Pearson-Longman, 2005. A pivotal chapter of Catherine�s character development in Northanger Abbey, Chapter 10 opens with a taut sentence, but in my mind, one that also holds a dual meaning: �The visions of romance were over� (157). Ostensibly, of course, this sentence and its accompanying paragraph concern themselves with Catherine�s emotional response to Henry�s rebuff of her suspicions of General Tilney, and the implications that this has on the budding romance between the two. The language, however, I feel additionally supports Catherine�s conscious dissolution of the fanciful mindset which had brought her to this point. The term �visions� potentially evokes the Gothic, surreal, mental images or happenings that she imagines (conjured up from her Gothic novel readings) and later on rescinds. Here, Webster�s definition fits�albeit not precisely�Austen�s use of �romance� since Catherine indeed invests �emotional attraction� in the �mysteries� of Northanger Abbey; she was enough of a heroine to seek out the �truth� of Mr. Tilney�s supposed evils�via her �heroic activities�: exploration of the Abbey. 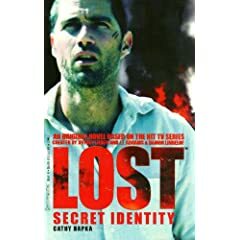 In accordance with this language of �visions of romance,� the narrator says of Catherine that she was �completely awakened,� which also implies an emergence from a dream-like state, and even larger parallels with her being immersed in the Gothic mindset. Although Catherine had earlier proven wrong most of her imaginative, runaway notions firsthand, it wasn�t until Henry�s rebuff which �had more thoroughly opened her eyes to the extravagance of her late fancies than all their several disappointments had done� that she is able to fully come to terms with the magnitude of her fancies and their ramifications (157). Left alone, Catherine would likely have continued unabashedly in her flights of fancy were it not for Henry�s redress, point for point, of her fanciful notions. Henry, then, in addition to being her romantic interest, in this case represents an embodiment of rational thought, and it is he who �breaks the spell,� as it were of Catherine�s �romantic,� Gothic visions. Indeed, �the visions of romance were over�. "romance." Merriam-Webster Online Dictionary. 2006. (23 Jan. 2006). Today in my English class we spent--I kid you not--1 hour discussing Edmund Burke and what, exactly, the word sublime entails. Now, in defense of my liberal arts pursuit (albeit only a weak defense), I maintain that sublime, as it particularly pertains to Gothic literature, is an especially pesky term and concept to define. 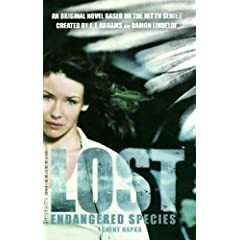 I've picked up both available Lost novelizations, but have not had the time to read either one. While they so obviously are not Lost canon, they should be entertaining enough, I'm gathering. 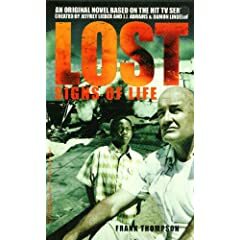 The third book in the series, Lost: Signs of Life, is not yet available, but when it is I plan on picking it up too. They're all so inexpensive that making a collection of them isn't taxing on my already stretched financial situation. I'm currently reading Northanger Abby by Jane Austen for my Literatures in English, 1800-1900, A Century of Hauntings, class. I'm with News.com on this: Google Video so far has failed to impress. Perhaps over time this will change; in fact I'm hoping so. Short of cable TV, PBS is responsible for bringing some of the absolute best programming to the masses; Country Boys is one such example. I'm not a "country boy" myself, but having to grow up in Indiana, where numerous Southern influences abound, I've experienced many of the frustrations portrayed in the documentary. The struggle to find a semblance of meaning in life has resonated with me. From time to time, one might be successful in a particular venue, however, should circumstances deteriorate that plateau--and invariably, this will happen--one is left, if not careful, with a general sense of malaise. 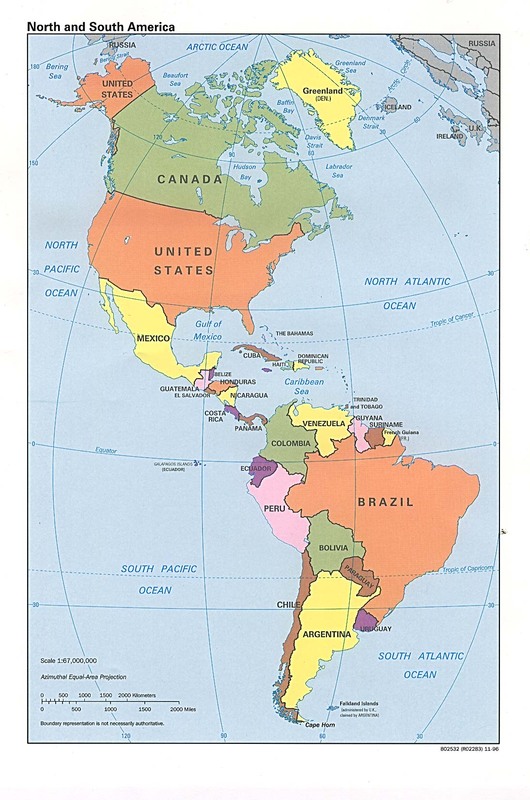 I must return, however, to studying this map of Latin America in preparation for my Spanish quiz on miercoles. I've been sick for the past week with some sort of low-grade (viral?) infection that resulted in a highly painful, persistent sore throat. I've just now gotten over it. It wasn't the flu; no fever, chills, or body aches. "Just" a sore throat. Perhaps I should've taken more frequent/higher doses of Germ Defense. Instead, I self-medicated (for the symptoms only, really) with the wonderful Alka-Selzter Plus Cold Orange Zest. I highly recommend the latter. I think I'll replace the not-so-pleasant tasting Germ Defense for its non-generic counterpart (and the original formula, I might add) Airborne. At least they have a tasty lemon-lime flavor, mmm. In addition, they have cool gummi throat lozenges, which I absolutely must try. Amgen has now officially acquired Abgenix, AT&T and SBC are now fully merged, and the Verizon/MCI merger is also now complete. Also, the acquisition of Wiltel by Level3 is complete. A couple weeks ago, too, Jamdat was acquired by Electronic Arts. Post-college, I was thinking of working for Jamdat; with this acquitision, I just might (I know a few folks at EA in Redwood City). If you haven't seen it yet, you must see Killer Klowns [sic] from Outer Space. It's a B-movie, sure, but one scene in particular is etched in my mind forever: the shadow-puppet-on-wall-scene. It's almost worth it just for that (not a rental, but a Netflix or on-TV showing, for sure). I'm not ready; Spanish S204 is going to be a total bear, and I don't expect Intro to American Politics to be much easier. My E303: Literatures from 1800-1900 I'm expecting to be better than last semester's E301: Literatures to 1600, if not solely for the material alone. A few days ago I finished reading the aforementioned Dissolution, by C.J. Sansom. It's a taut mystery: in fact, I wish it were longer. I actually guessed the killer (and suspected the accomplice heavily), though not the motive in the slightest. I wish that the Elkhart Public Library would have a copy of his latest work Dark Fire. I'll have to request it. Four Kings will get canned faster than Starkist albacore, and that's sad, really, because Seth Green deserves such a better comedic vehicle. I'm not surprised the Will & Grace guys came up with this nonsense. In Justice will not last, though I'm dying for any new show at this point. Question is: How many episodes will air before it dies?